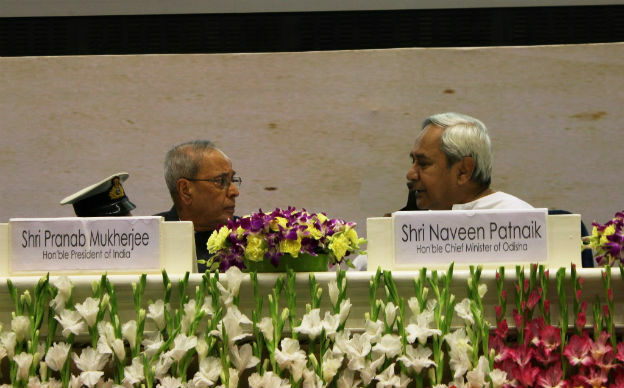 New Delhi: Chief Minister of Odisha Naveen Patnaik attended the Bicentenary Celebration of the heroic Paika Rebellion of Odisha in New Delhi today. He paid rich tributes to Buxi Jagabandhu, Jayee Rajguru and all the brave Paikas who valiantly fought the imperial British rule and sacrificed their lives for the sake of the Nation. Chief Minister, in his address informed that the bravery and war strategy of our brave Paikas was second to none. The 1817 uprising under the leadership of Buxi Jagabandhu is a glorious chapter in our history. Paika Rebellion, popularly known as Paika Bidroha, took place 40 years before the Sepoy Mutiny of 1857. It was truly a broad-based, well-organized pluralistic people’s struggle against the oppressive rule of the British East India Company, which transcended the boundaries of caste, creed and class. 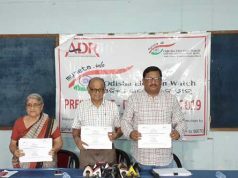 It played the role of the torch bearer and catalyst in shaping a people’s movement of resistance, which ultimately led to the Indian Independence Movement. Hon’ble Chief Minister urged that Government of India should recognize this historic event as “The First War of Indian Independence”. Shri Patnaik said that such a recognition would be a befitting tribute to commemorate the 200th anniversary of the Paika Rebellion. Chief Minister also informed that the State Government has taken a number of steps to celebrate during the Bicentenary year of Paika Bidroha. In fond memory of Buxi Jagabandhu, the hero of Paika Uprising of 1817, Odisha Government has started the programme BASUDHA to provide drinking water to urban and rural areas with an investment of Rupees one thousand crore during the current financial year. A Paika Gallery has been opened in the Odisha State Museum with light and sound show. The State Government has also brought out an archival publication on ‘Paika Rebellion’ along with exhibitions and workshops. The State Government has also decided to erect the “Paika Amar Jyoti Stambha” as a mark of respect to the sacrifices made by our valiant Paikas, he added. Chief Minister requested the Government of India to issue a commemorative Postage Stamp on the occasion of the Bicentenary of the historic Paika Rebellion. He also reiterated his earlier demand to introduce a Humsafar type new AC Express Train from Khurda Road to Mumbai via Sambalpur to be named after Buxi Jagabandhu. The Bi-Centenary Celebration of Paika Rebellion of Odisha was inaugurated by President of India Shri Pranab Mukherjee in the august presence of Chief Minister Naveen Patnaik, Hon’ble Union Minister of Tribal Affairs Jual Oram, Minister of State (I/C) for Culture & Tourism Dr. Mahesh Sharma, and Minister of State (I/C) for Petroleum & Natural Gas Dharmendra Pradhan.